The story behind this settlement started in March 2008 when the patent holding company Mirror Worlds sued Apple claiming OS X’s Coverflow feature infringed on its patent. The case was filed in patent troll-friendly U.S. District Court in Eastern Texas where a jury ruled in favor of Mirror Worlds in 2010. Apple managed to get the ruling overturned in 2011, and in 2012 the Federal Appeals Court upheld the ruling. Mirror Worlds was dead in the water come 2013 when the U.S. Supreme Court refused to hear the case, leaving the lower court’s ruling in place. Mirror Worlds shut down in 2004—four years before filing the lawsuit against Apple—and the case’s outcome didn’t help the defunct business, although it did manage to sell itself to Network-1 Technologies the same year it failed to get on the Supreme Court’s docket. Network-1 is another patent holding company that says it “acquires and licenses intellectual property to maximize its value for the benefit of our investors and inventors.” Not willing to let the case die, Network-1 started with a new case, leading to the just announced settlement. Apple’s $25 million payout makes the lawsuit go away and also gives the company licenses for Network-1’s other patents. 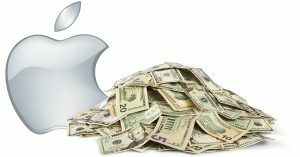 Network-1 may be bragging about the case’s outcome, but the $25 million it’s getting from Apple is likely still a financial loss for the patent holding company. The amount of money Mirror Worlds spent litigating the case, plus the money Network-1 spent to buy the company and continue pursuing the patent infringement claims is likely much more than Apple’s $25 million check. $25 million is pocket change for AAPL. So, if “Apple’s $25 million payout …gives the company (Network-1) licenses for Network-1’s other patents…”,, do you suppose those Network-1 patents Apple just bought the rights to would also cover the patents claimed in that other Web Carousel patent suit? Two birds with one (relatively small) stone? Wait. Isn’t CoverFlow essentially a variation on that Web Carousel idea that Apple got sued for last week? Pictures of things flipping across the top of the screen?